iPhone photography full length portrait tutorial showing reflection, texture, layers, masking, blending and framing processes. This iPhoneography workflow resulted from a visit to a local multi-story car park. Primarily I wanted to take my Olloclip (new window) for a spin. I mentioned in my Macro tutorial that I would take a look at the other Olloclip lenses at some point. This workflow uses the Olloclip wide angle lens which is the main reason I wanted it . On this occasion I wanted to use the Olloclip for a bit of a wide angle panoramic work from high up. Whilst at the top of the car park this puddle presented itself and as I had one of my assistants with me it seemed a shame to let it go to waste. The image was actually captured with the Olloclip attached (see workflow). Olloclip 4 in 1 (check compatibility). We’re delighted to publish this fabulous tutorial by Paul Brown using the wide-angle lens of the 4-in-1 Olloclip in a very creative way. I was incredibly thankful and humbled when my friends in the mobile photography community nominated me recently for an AMPt Selections Feature. I was quite shocked when Todd from the AMPt Leadership Team contacted me to say I was one of a small number to be featured and asked that I select an image and answer a few questions. AMPt and its members are a big deal to me. Whether it’s within the community website or on social media, many of the inspirational images the members share are aspirational for me. We are all have varying levels of experience and knowledge within the community but it is open and available for all to join. 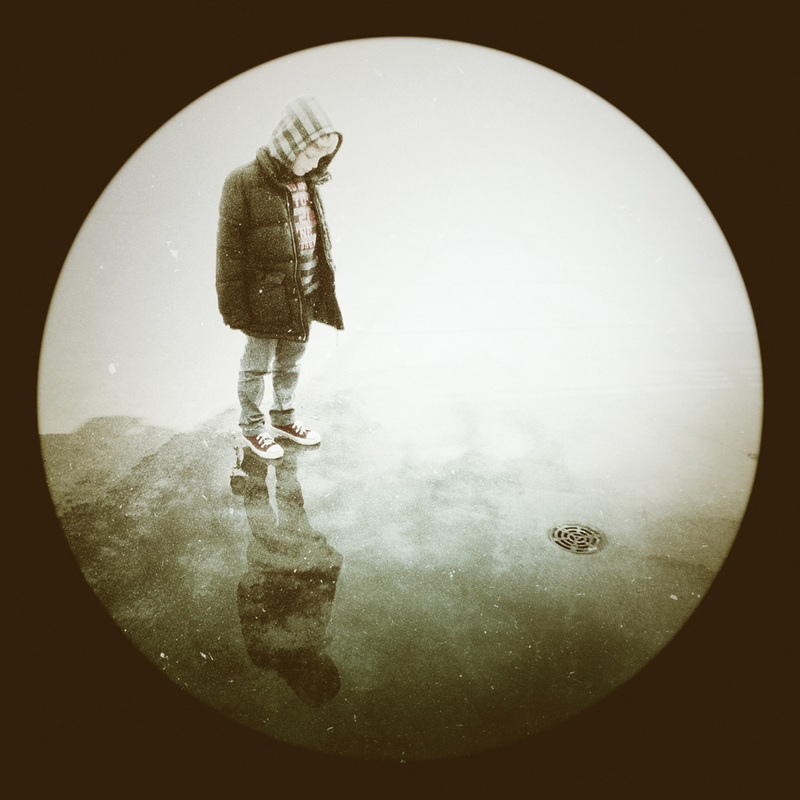 The feature can also be viewed in a little more detail at the AMPt Community website. If you visit, why not have a look around and take the opportunity to sign up. We recently posted on Instagram and asked for your suggestions of photographers that inspire you and that are deserving of a feature. We were overwhelmed with such a great response and outpouring of support for your fellow community members, and are proud to showcase the final of three artists based on your suggestions. Thank you so much for all your tutorials .. it’s absolutely brilliant! I will go through and try it. Hi Indri, thank you very much. Hope you have success with it. Great tutorial as always. I especially enjoy how you bring out the aesthetic qualities of the original image. This is a heavy edit (with numerous apps), but it really pays off. I like the Poloroid coloured border, but the circle frame. My only question would be whether it is necessary to crop away the sign letters of you use the border. It might end up too off center for your liking. Cheers Jacob, thank you. In retrospect I could have reduced the crop a bit (I cropped bottom also to middle the figure and reflection) but I wasn’t totally sure what direction I was going to take the edit in – which also explains the number of apps. It’s a shame but to get desktop editor functionality with plugins, etc you have to use multiple apps really. Hello Cheila, great to meet you and I’m really delighted you enjoy my articles. I have no iPhoneography secrets!